Do you smoke? Now could be perfect time to think about quitting for good. November is “Moi(s) sans tabac” (Me/Month without tobacco). An initiative of the French Ministry of Health in collaboration with the Department of Social Affairs and Health and the Princess Grace Hospital, this campaign is aimed at encouraging smokers to collectively stop smoking during the month of November. 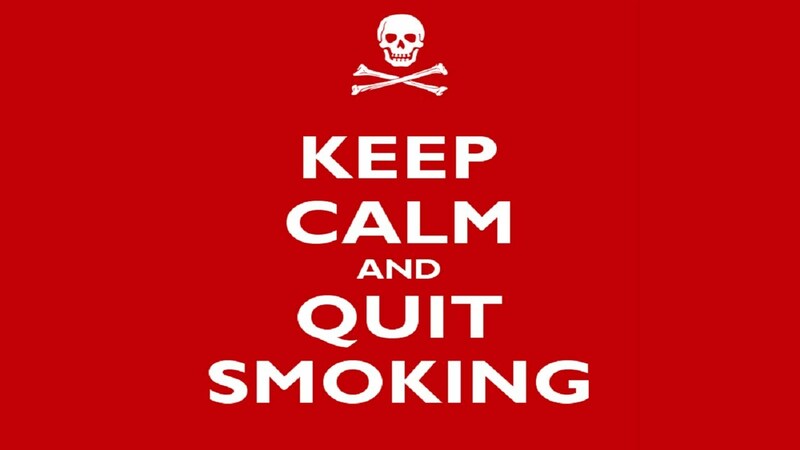 Research shows that if you can stop for a month, you are five times more likely to stay smoke-free for life. But nicotine is infamous for being as addictive as heroin – and quitting is not easy. It requires determination, willpower and commitment. Aside from the free kits available at pharmacies, nicotine patches, sugar free gum and hypnosis, what else can help smokers stop? Unlike some of the tools to help you quit smoking, nutritional support is safe and has no unpleasant side effects. Moreover, it can also help get the root cause of cravings and cure an “addicted brain”. Here are the major challenges smokers must deal with when quitting, along with strategies for overcoming them. Replace hand-to-mouth cravings. Instead of munching on sweets or chips throughout the day, eat nuts, seeds, grapes, berries, chopped carrots or celery – perhaps with hummus as a dip. These alternatives fill your body with vital vitamins and minerals, instead of sugar and fat. These healthy foods will also taste much better once you quit smoking. Don’t binge eating. Nicotine suppresses your appetite and without it you will be much hungrier. Instead of skipping breakfast and smoking instead, you will want to eat. Several small meals instead of three large ones and plenty of nutritionally dense snacks will help stimulate your metabolism and avoid weight gain. You will experience bouts of low blood sugar after quitting smoking. This can result in irritability, poor mood and cravings. Don’t go hungry. Eat healthy snacks that release sugar slowly into your bloodstream; whole grain bread, small portions of whole meal cereal with natural yogurt, fresh fruit and whole grain crackers with almond butter. Add cinnamon to your food and drinks – it helps balance blood sugar. Foods that promote the release of serotonin help stave off the depression, anxiety and poor mood that many quitting smokers experience. Serotonin is the “feel good” chemical released when you are in love or when you eat chocolate. 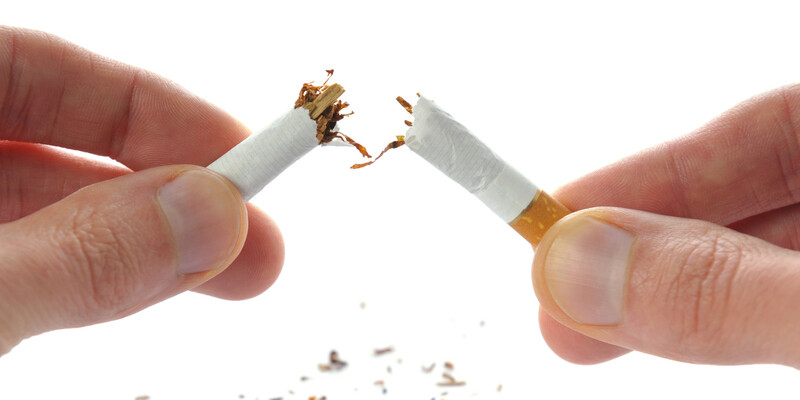 Studies have shown that smokers’ brains have unusually low levels of serotonin, which may contribute to withdrawal symptoms and make it harder to quit. Boost your brain with tryptophan – the amino acid that is needed for your brain to make serotonin. Healthy food sources are turkey, chicken, fish, beans and nuts. Decreased concentration: Nicotine is known to help improve concentration and focus, so it’s not surprising that withdrawal symptoms often include brain fog, drowsiness and being easily distracted. Top up on protein: Since protein helps blood sugar balance and concentration, start your day with a protein-boosted smoothie (hemp powder is a good choice), eat fish (sustainable fish such as sardine and mackerel if possible), omelets made with extra egg whites, all kinds of beans (bean soups or vegetarian chili for example), tofu or poultry to help keep you alert. Fruits, vegetables and dairy products – like milk, make cigarettes taste bad, whereas meat, coffee and alcohol make them taste good. Incorporate the first group into your diet to encourage your quitting efforts. A healthy diet is powerful way to boost your brain health, improve your mood and increase motivation. Snack on fruit and cover at least 50% of your dinner plate with veggies! A handful of nuts provide you with energy, protein, and plenty of nutrients, and eating them slowly keeps you busy until the craving passes. Stick to fruits to satisfy the sweet urge after quitting smoking. Smoothies, which you can load up with healthy add-ins like vitamin C and wheatgrass, can also help satisfy that sweet tooth. Do sit-ups, push-ups or go for a run when you feel a craving coming on. Your craving will subside, and endorphins released by the exercise will improve your mood, so you are less likely to gain weight. Drink plenty of water throughout the day to flush out the toxins smoking has left in your body. This will also help you eat less. Drink herbal tea before bed to relax you. Alcohol and caffeine will only make you want to smoke, so avoid them until your cravings subside. 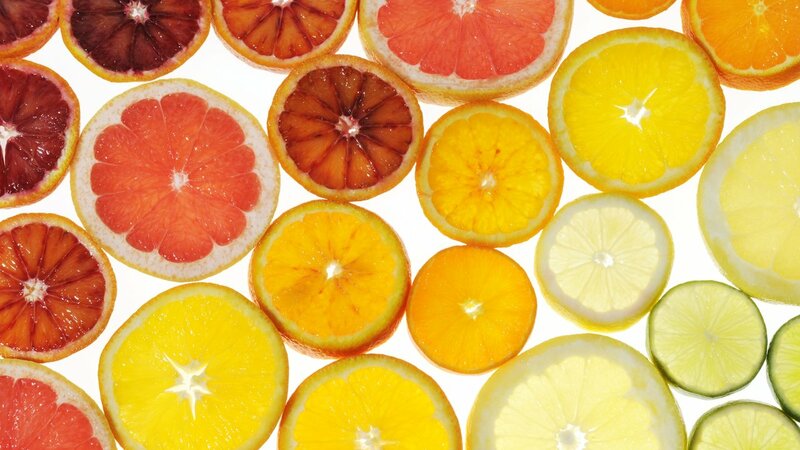 Vitamin C is a potent antioxidant vitamin. It is a nutrient that effectively helps counter the free radical damage and oxidation of tissues caused by cigarette smoke. It helps prevent and clean up the cellular damage from smoking. 1000 mg controlled-release Vitamin C tablets. (Take 1-2 per day – they are perfectly safe.) Some of the best food sources of vitamin C are citrus fruits, kiwi, cantaloupe, broccoli, Brussels sprouts, cauliflower, cabbage, and red peppers. Vitamin B vitamins have a major role in the central nervous system and are essential for reducing stress and keeping energy levels up. Vitamin B Complex with B6 and B12. Some of the best food sources of vitamin B include potatoes, nuts, seeds, bananas, whole grains, dairy products, eggs, and fish. Lastly, if you’re serious about quitting it helps to set a firm quit date and to put yourself on a nutrition plan to ease withdrawal symptoms. Remember, cravings, anxiety, irritability and restlessness usually peak at 1 to 3 weeks after quitting, but generally become manageable within a few weeks. Good luck and don’t give up!